There was a time when electric and oil were the most popular means to heat a home. Electric stoves were thought to be a modern marvel. As time has marched on, natural gas has become a more efficient way to heat your home. And most cooks will tell you that using a gas stove give them more control over the amount of heat being used to cook with. 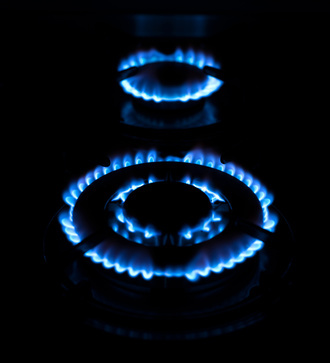 For the most part, gas is a safe way to heat your home and fuel your stove. But as we all have seen on the news, when a gas leak occurs, the dangers of an explosion exists. Any electrical switch that gets turned on creates a spark that will cause the gas to explode. So what does the weather have to do with a gas leak? There doesn’t seem to be any connection, or is there? Think about this, you live in Florida. The weather here is warm. It is downright sweltering at times. What happens when the humidity builds? The result is a thunderstorm. And as you know some of the thunderstorms in Florida can be quite severe; lightning flashing everywhere. Lightning has enormous energy. Imagine that electrical energy combining with a gas leak; all that electricity causing a spark. The result would be catastrophic to a building. One thing that gas companies do is to add a very strong odor in the gas that they provide to customers. This odor allows people to detect a gas leak. Any time a strong odor is coming from your heating system or stove, it is imperative not to use matches or turn on any electrical switches. The safest thing to do is to leave your house immediately and call for help. After emergency crews have secured the gas to your home it is time to call someone in for a repair. Did you know that plumbers are the ones you need to call? Plumbers don’t just deal with water pipes. Plumbers can detect where the leak in your natural gas lines are and repair them. Your plumber is skilled in repairing and replacing natural or propane gas lines. As safe as gas is these days, there is still cause for concern. In Florida, where thunderstorms happen on almost a daily basis, it is wise to have your gas lines inspected occasionally. Check with your gas provider on any maintenance schedule you should be following.